We have assembled a tremendous group of herd bulls for 2017 to move our program forward. These bulls have all been selected to compliment our newly expanded cow herd and produce calves that will make our customers money. 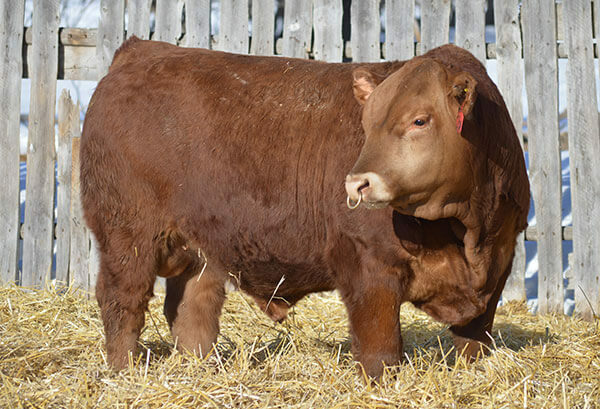 Looking to add to our red power arsenal, we purchased Howard as the high selling bull from the 2018 Davidson Gelbvieh production sale. Having seen his sire as a calf, we were impressed by the depth and thickness this pedigree contains. Howard maximizes that thickness into an explosively long sided package. Used primarily on red hided females this spring, his first calves will hit the ground Spring 2019. 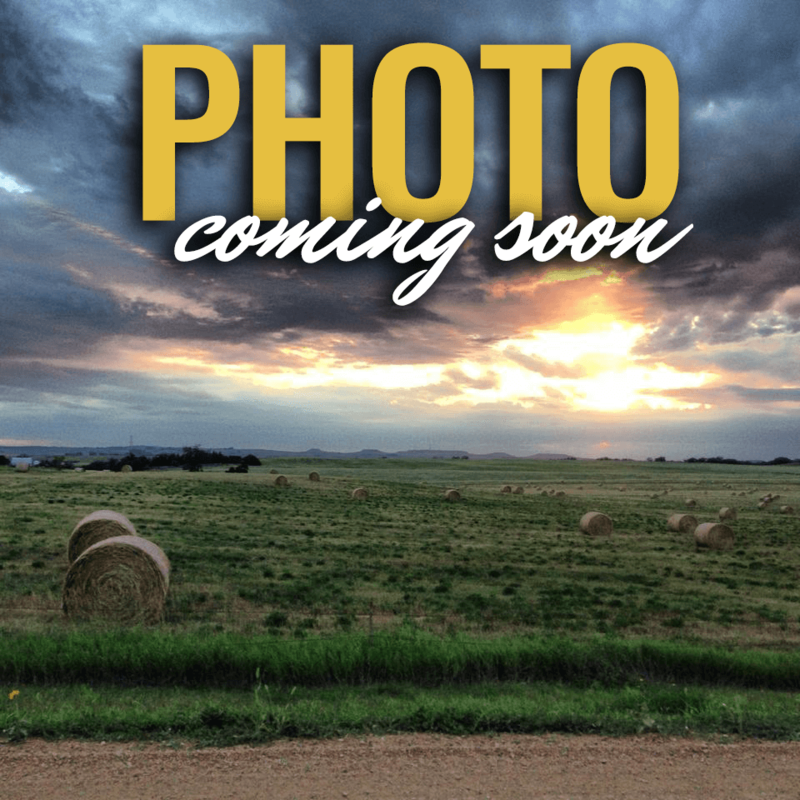 We purchased this homozygous black & polled New Horizon son as the high seller from the 2018 Oklahoma Sooner Select sale. 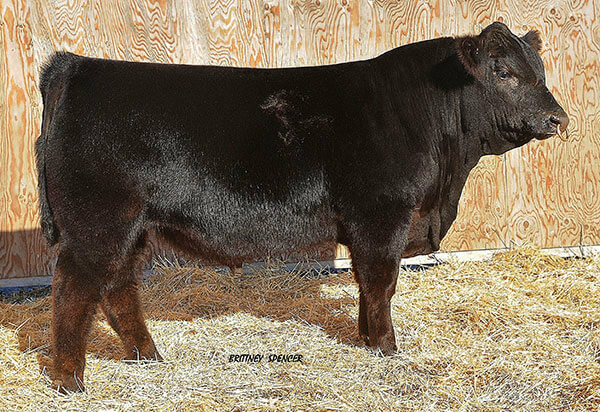 Blackout combines an awesome EPD profile with stellar ultrasound results, posting a 16.85″ ribeye with a 4.12 IMF – numbers that are easily top 1% for a purebred Gelbvieh. 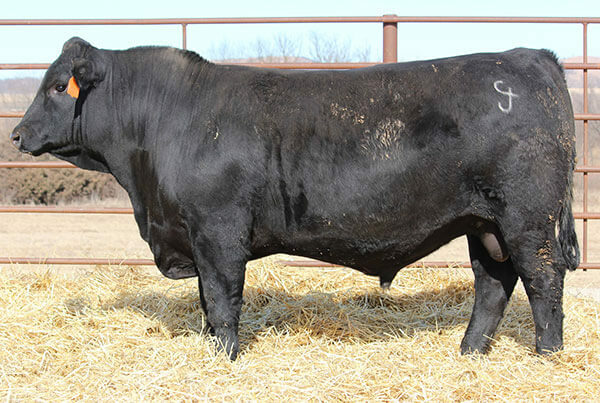 Blackout is a bull who is destined to make his mark on the breed in the future. The first son of the record setting Right Combination! We saw this dark red meat machine at Agribition as a calf, and he immediately struck us as the best red bull we’ve seen in quite a while. We purchased him out of The Gathering in December, 2017 for $44,000 for half interest and half possession, setting a record for the Gelbvieh breed in Canada. EC was National Champion Bull Calf at 7 months, and Reserve Spring Calf at NWSS. We’re looking forward to big things from this young stud! 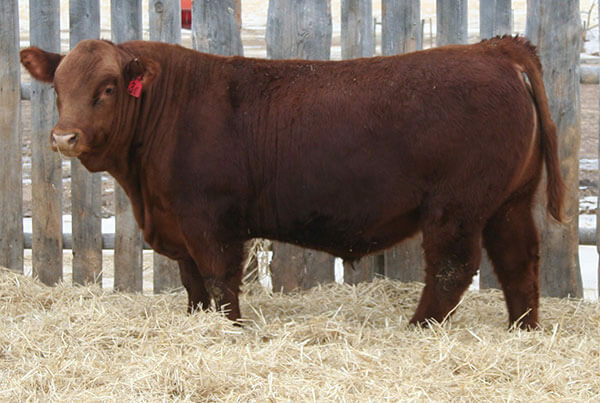 This young red sire was purchased in 2017 from the Golden Buckle sale as the high selling lot of the day. Dozer is a bull who makes everyone look at him twice – big ribbed, thick quartered, but with neck extension and a front 1/3 that will wow you. We used him successfully on both heifers and aged females with an 82 pound average BW. His 2018 calves are an impressive group and we’re excited to see his 2019 calf crop. Legacy was a member of our 2017 NWSS Pen of 3. We made the decision early on that Legacy had a place in our herd bull lineup. Legacy packs a ton of thickness into his calves, in a phenotypically pleasing package. Exceptionally smooth made, Legacy is passing his depth and thickness along to his progeny exactly as we had hoped. Look for his first offspring in our 2019 sale! Dirt Road was offered as a choice lot in the Agribition sale in 2016, after standing as the Futurity Runner-Up. When the gavel dropped, we added this homo polled calving ease sire to our stable. In his first year Dirt Road was used exclusively on heifers, and boy did it click. His calves came small and easy, and are becoming one of our favorite sire groups when touring pastures. Unfortantely Dirt Road was injured in pasture, so his only sons will be offered in our 2019 sale. 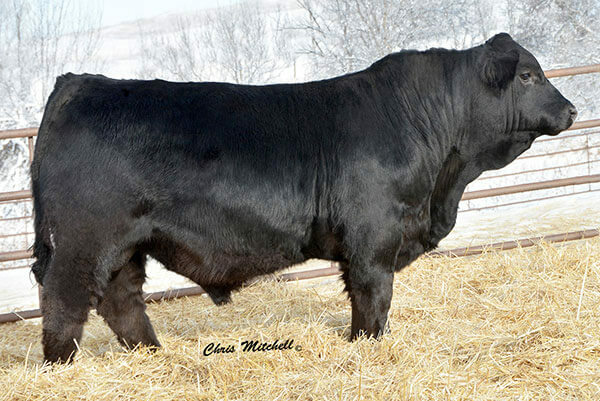 Eminence is possibly the best bull to ever leave Prairie Hills Gelbvieh. 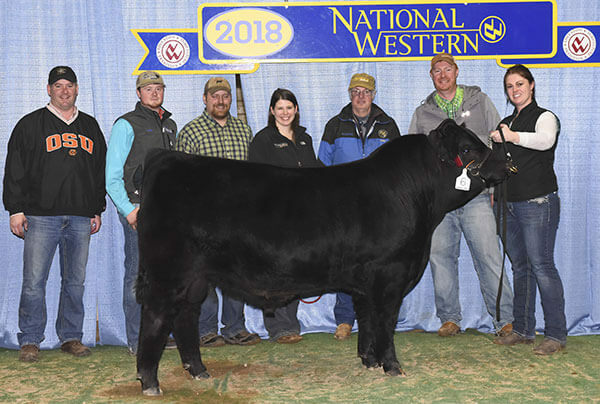 After being slapped as the 2018 Bull Futurity Champion, he was the anchor in our Reserve National Champion Pen of 3 Bulls at NWSS. An outcross pedigree that should work on a variety of females, we look forward to hearing the first reports of his calves. He will play a big part in our AI program going forward! 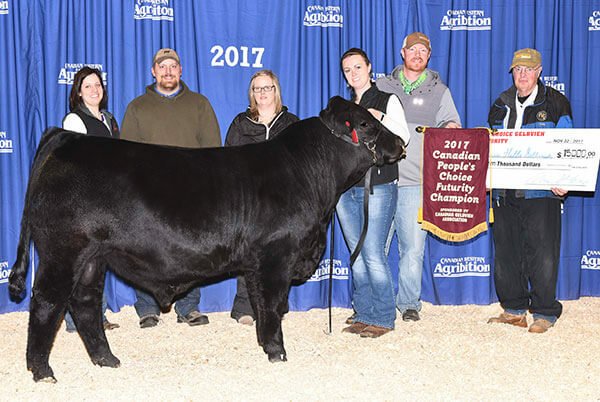 Enigma holds the distinction of being the first bull from the US to win the Canadian Gelbvieh Bull Futurity in 2017. This powerful Yikes son was a crowd favorite due to his softness and thickness, in a very striking package. Due to an injury before breeding season he saw very limited use in the summer of 2018. We look forward to big things from this sire in the future though! 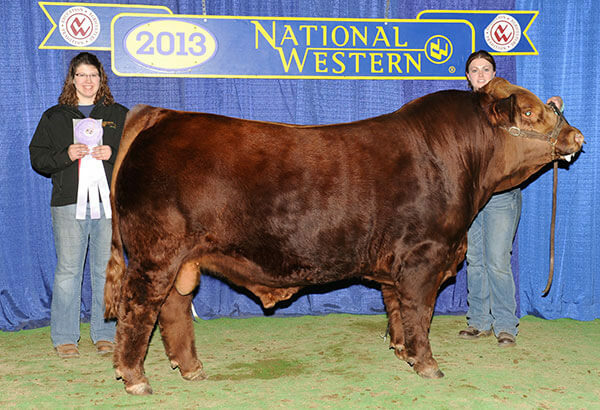 We purchased RWG Yikes 1512 as the record high selling bull at the 2012 Canadian National Sale. We were impressed by the rib shape and thickness he presented, while allowing us to infuse our own genetics back into the herd. After seeing his first calf crop, we are very pleased. His calves come very easy, and then hit the ground running. The calves are soggy, deep ribbed, with an excellent hair coat. His first daughter sold in the Canadian National Sale for $7,500 as the pick of our show string, and have since averaged nearly $5,000 on any daughters sold. We purchased Dominance as one of the high selling bulls out of the 2015 Beastrom Ranch sale. 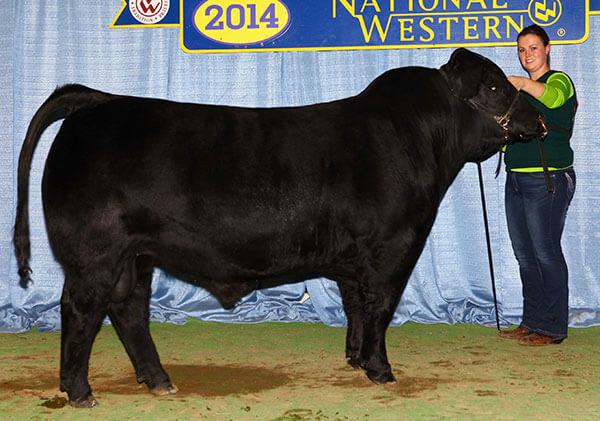 He was a member of their Reserve Champion NWSS Pen of Three bulls. After seeing him in Denver, we appreciated the softness and structure that he offered, while still being a performance oriented bull. Our first set of Dominance calves his the ground in the spring of 2016 and we are very impressed. As a group, his bull calves offer awesome thickness and performance, while his daughters are always the first ones spotted in the pasture for their depth and capacity. We’re excited to see what the future holds for this great bull! Sucker Punch was purchased out of the stalls in Denver in 2013. We showed him as a 2 year old, and then again as a coming 3 year old. He is probably one of the coolest big bulls we’ve shown. Sucker is one of the freakiest fronted purebred Gelbvieh bulls we’ve son, but combines it with a hip and quarter that blow you away. We’ve used him successfully one heifers and cows, and the result is always the same – moderate, clean, powerful, and cool. His first sons sold in our 2016 sale, including the high seller to Jen-Ty Gelbvieh in Alberta. His first daughters calved in the spring of 2016 and showed awesome udder confirmation and development. We’re excited to see how these females mature and develop. 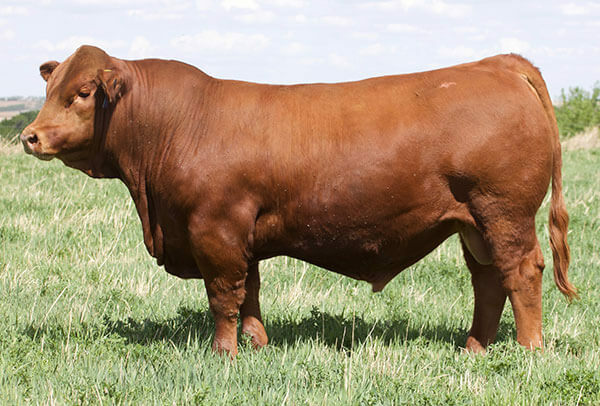 When we purchased Jackson from Davidson Gelbvieh in 2014 we were looking for a new red ‘power’ bull. We ended up with much more. Jackson is proving to be more of a multi-purpose tool than originally expected. His first year he was used exclusively as a heifer bull and averaged 76 pounds. 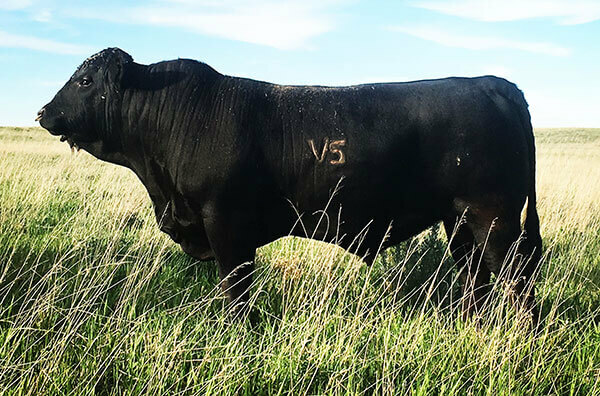 We then bred him to a mixture of heifers and cows, and his 2016 calf crop is truly impressive, with his bull calves averaging 859 pounds at weaning! One of the biggest trademarks of a Jackson calf is their disposition. As a sire group, every one is curious and easy to work with. Jackson is looking like an excellent outcross to red genetics common in the United States. When Payday got hurt in 2015, we started looking for a son to retain to replace him. Paycheck quickly rose through the ranks as the stand out of the Payday sons. This bull drove a lot of people crazy during sale season in 2016 – no matter where we tried to hide him, people kept finding him. Combining Payday with a Fearless daughter we purchased from Beastrom Ranch, he is the right combination of thickness with style. As he’s matured and covered cows, he’s retained his softness and is truly impressive. His first calves will arrive in the spring of 2017 and we are anxiously awaiting their arrival!